Do you suffer from back pain? Well, you’re not alone. According to the American Chiropractic Association, back pain is one of the most common reasons for missed work, and the second most common reason for visiting a doctor (only behind upper respiratory infections). – Individuals can hurt their backs by lifting heavy objects, overexerting themselves, or moving the wrong way. The muscles and ligaments in the back can be twisted and damaged. Back pain, that is the result of a recent injury is called acute pain, meaning it comes on suddenly. Acute pain is usually temporary, so when the injury heals, the pain lessens or disappears completely. Over the counter medications such as analgesics, topical creams, and anti-inflammatory drugs help manage back pain caused from an injury but don’t necessarily fix the problem. Chiropractic care is another way to lessen reoccurring pain and feel more comfortable. By adjusting the spine, chiropractors can relax the muscles, and relieve pain faster than simply “suffering through” the injury. – Unfortunately, there are several illnesses that can cause back pain. Fibromyalgia, osteoarthritis, inflammatory diseases of the joints, and scoliosis are some of the most common conditions that cause back pain. Because the conditions create pain that lasts longer periods of time, this type of pain is considered to be chronic pain. Chronic pain is an entirely different animal than acute pain, and patients who suffer with it often look for options outside of traditional medication. Chiropractic care is an excellent choice in dealing with chronic back pain. Adjustments to the spine can promote healing in all areas of a person’s body, as well as provide relief from the pain. Chiropractic treatment for medical conditions sometimes takes a bit longer to show results, so the patient must be committed to the treatment plan the chiropractor suggests in order to enjoy the maximum benefits of chiropractic. – Decisions we make can affect our health, either negatively or positively. Being overweight, avoiding an exercise routine, and smoking can result in health issues that cause back pain. Additional weight puts extra stress on an individual’s back that can eventually cause pain. Smoking is a habit that has many negative consequences, including increasing the chances for back pain. 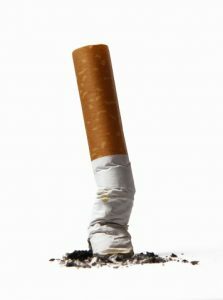 According to the National Institute of Arthritis and Musculoskeletal and Skin Diseases (NIAMS), smoking can cause a lack of nutrients which affects the back’s discs. In addition, people who smoke tend to heal slower, so smoking can actually increase the length of time a person must endure back pain. A sedentary lifestyle also weakens a person’s body, often bringing on back pain, as well as other health issues. Chiropractic adjustments can assist in lessening back pain, which then, hopefully, leads to better lifestyle choices. Feeling better often prompts patients to embark on a fitness routine, eat healthier, and quit smoking. Exercise regimens that include strength training can positively impact a person’s health in a number of ways, including back pain reduction. Millions of people struggle with back pain on a daily basis. Fortunately, there are multiple ways to treat both the symptoms and the underlying causes. Chiropractic care, either by itself or in a combination with other treatments, is one of the best choices of drug-free pain relief available today. 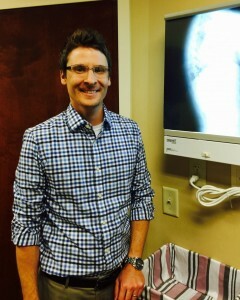 My Leawood Chiropractic office is considered the place for back pain treatment due to our advanced modern chiropractic & electro-acupuncture techniques.